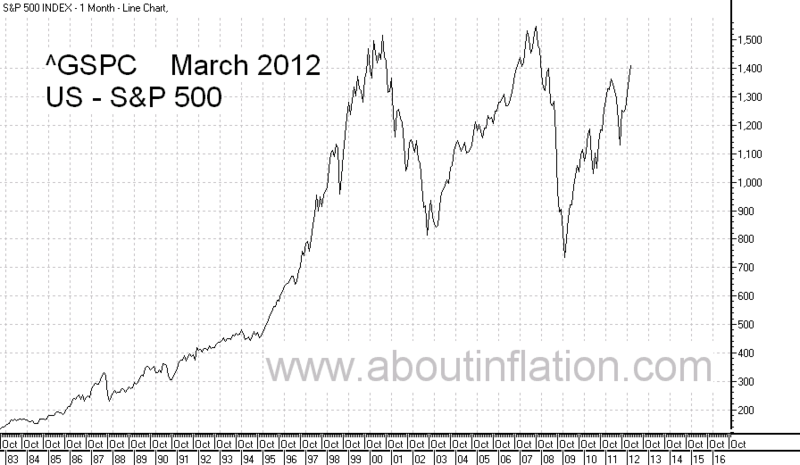 S&P 500(GSPC) Index is a stock market index made of 500 largest US companies. S&P 500 Index started in March 1957 and is the second most popular stock market index in the world after Dow Jones Industrial(DJI). S&P 500 Index is traded on New York Stock Exchange and the NASDAQ Stock Exchange. ^GSPC, .INX, and $SPX are some of the symbols use on different data providers. S&P 500 Index is owned and maintained by Standard & Poor's, a division of McGraw-Hill. BK The Bank of New York Mellon Corp.
CVH Coventry Health Care Inc.
LLY Lilly (Eli) & Co.
MHS Medco Health Solutions Inc.
MI Marshall & Ilsley Corp.
MMI Motorola Mobility Holdings Inc.
PCL Plum Creek Timber Co.
PEG Public Serv. Enterprise Inc.
RL Polo Ralph Lauren Corp.
SNI Scripps Networks Interactive Inc.
TEG Integrys Energy Group Inc.
TRV The Travelers Companies Inc.
UNH United Health Group Inc.